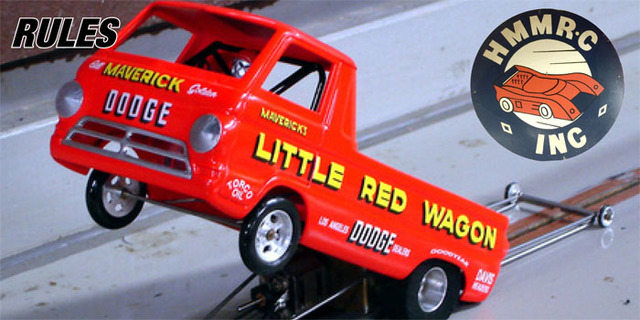 Cars are to be 1/24th or 1/25th scale. The body should cover the guide where possible. Funny Car and Pro Mod car may be painted. Windows may have holes if the real cars raced in that form. Minimum roof height from track surface to top of car is 38.0mm.